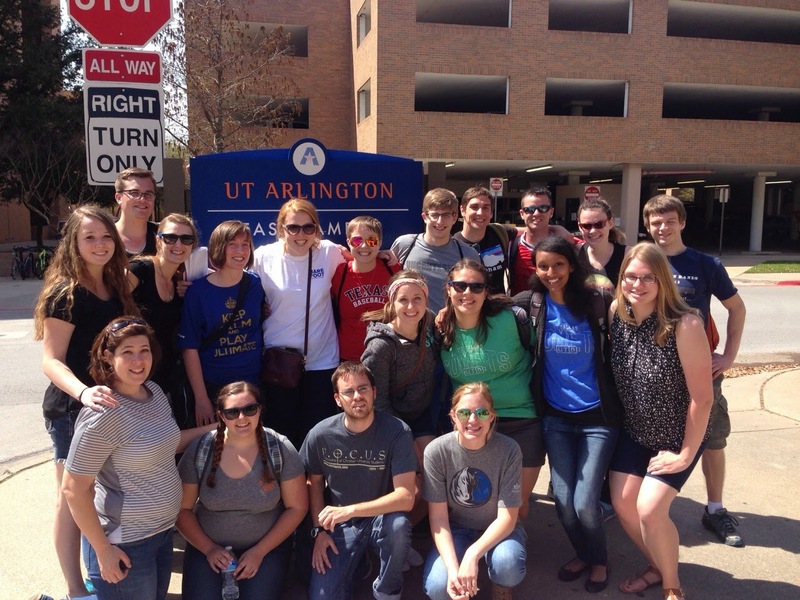 Confessions of a Campus Missionary: March Campus Missions Update! I got to have lunch with a campus pastor with Bridges International named John. He is a man who is committed to reaching international students and sharing the love of Christ with them. His heart for students and UTD overflows into every conversation he has - I was so grateful to have met him and got to hear his experiences. This month has been intense, but we had a lot going on that I'd love to share with you. First, we flew in students from Bellingham, WA who were willing to spend their entire spring break with us doing evangelism on our campuses (see group photo below). They were so sweet to be around and blessed our community tremendously. 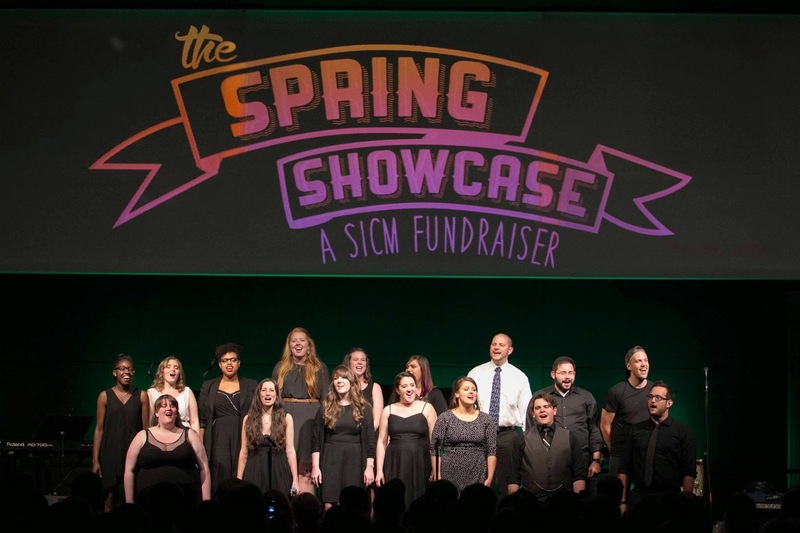 Second, we had our first ever Spring Showcase to raise money for students attending SICM, our week-long campus ministry training conference in Washington state (see photo below). And third, we had a student named Alphonse decide to commit his life to the Lord (see photo toward the end). Group photo of our hosts and performers for the Spring Showcase! It was such a beautiful evening of showcasing the talents of our ministry all to raise money for students attending SICM. We had over 400 people show up to the event to support the showcase! Our SSI students posing in front of UT Arlington, a campus that we will be planting this fall semester 2015. Please be in prayer that God would be preparing the minds and hearts of students who will walk onto that campus. Laurence, showing our SSI students the evangelism boards/props that we will have set up for the day on campus. We had different conversation-starter boards set up throughout the campus for students walking by so we could engage them in conversation. Our evangelism board(s) set up on campus for students to see! We go to meet so many students this week and engage them with spiritual conversations; it is amazing what can be done through just asking people what their story is. 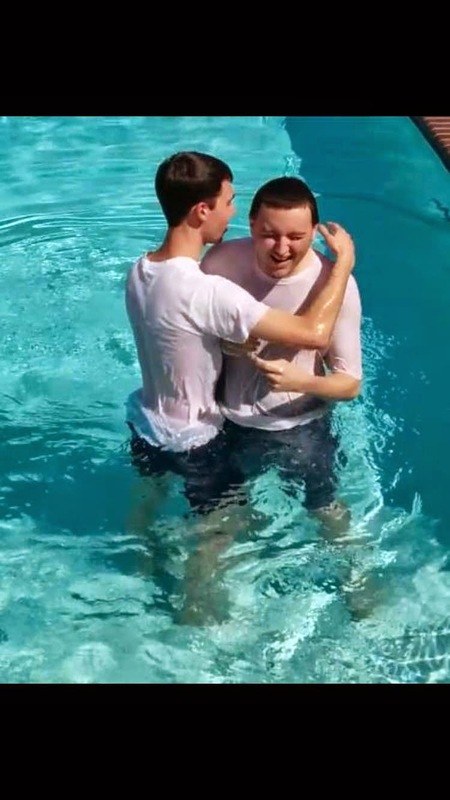 Alphonse, one of our students at UTD FOCUS, getting baptized by Grant. Alphonse is someone who is a light to all who meet him. He is the fruit of your support and prayers. This is an example of what campus ministry can do to change a life at UTD. Through friendship, discipleship, and the message of Jesus, Alphonse decided to commit his life to Jesus for the rest of his life. During SSI week we had a student-led worship night and it was one of the most encouraging evenings for me - we even had a lot of students we met during the day through evangelism show up, eat s'mores, and worship together! I can't thank you enough for your partnership and consistent prayers. God has been faithful all year long. Even though we've got a couple months left, I know that Satan will still be scheming to tempt our student leaders to slow down, give up, and be discouraged. Please pray that our students would finish well. I think that as we look to Jesus as our example, we see a God who finished in a way that empowered, encouraged, and equipped his disciples to carry on the mission. Please pray that our student leaders would do the same for those they are mentoring. I wish you were all here next to me everyday I walk on campus, meet students, and partake in God's will at UTD - but I know that through your partnership that you are there every step of the way! Please let me know if there's anything I could do to be praying for you as we move into the later part of spring!